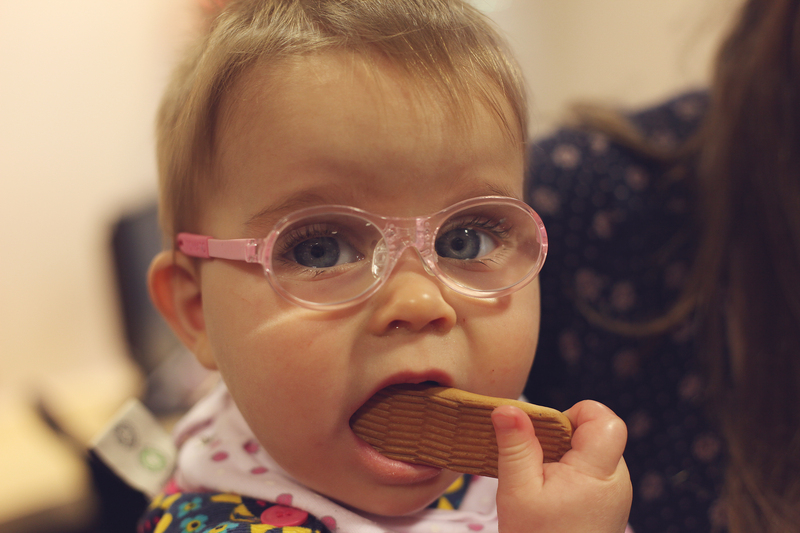 Child friendly Opticians are worth their weight in gold. Over the past three years Kiddiewink 2 has seen pretty much a different optometrist and ophthalmologist at every hospital appointment. Due to the differing rapports he forms with them (some are more child friendly than others), it is some times tricky to know if he is struggling with the test or just playing silly beggars! The care he has received has been fine but the continuity of care has been lacking somewhat! Getting an appointment I can attend has always been tricky too but we have a solution for that now. I wish we could see just a couple of different professionals, rather than a different one each time! I also wish , now he is nearly five, he could go to our local optometrist ‘Wendy Diddams’; it was Wendy that prescribed both mine glasses , and by the time the hospital referral came through, they had happily been wearing glasses for awhile .We are hopeful that the early detection (8 months) with our youngest Kiddiewink means she will possibly avoid patching. 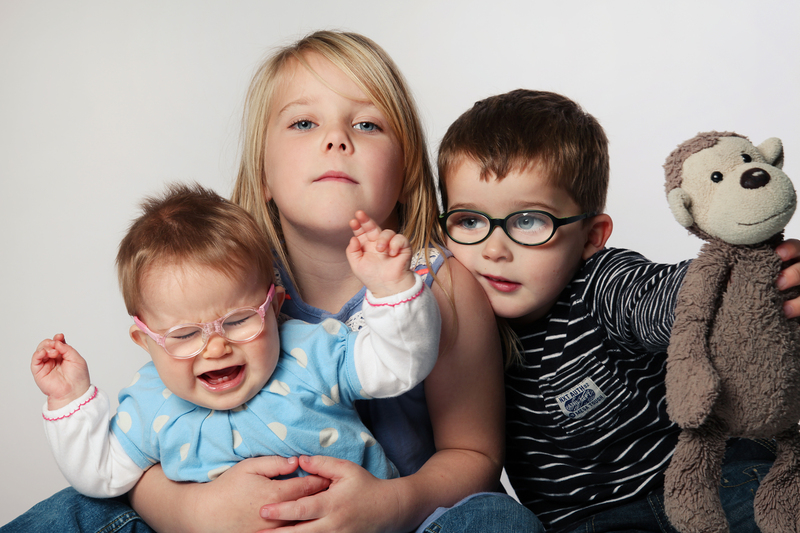 All my children love going to the opticians -‘Wendy diddams ‘ and all of them react far more positively in the warm and friendly environment, than a sterile unwelcoming environment. The continuity of care is brilliant and they know all of my children well! My eldest gets plenty of attention so she doesn’t feel left out and the sweets are a big hit! My eldest is actually the only one that Wendy tests at the moment due to her age. With her being a child specialist, I just wish the hospital would ‘release’ my children from all but annual checks. It is the frequency of the hospital visits that is draining and surely it would be more cost effective for the NHS for all my kiddiewinks to be checked locally. My kiddiewinks are happier and more relaxed, and the whole experience is a pleasure rather than a stress and hassle. The more local the better; visits may be frequent with breakages, adjustments, scratches. Find some one who likes and understands about fitting and sizing glasses on kiddiewinks , particularly if you have tiny kiddiewinks! Accept their advice. Yes little johnny might well like the Spider-Man pair, but they might not work for him and his prescription. Go somewhere that you and they feel as relaxed and stress free as possible! Have the number on speed dial for when the childminder becomes convinced the baby has eaten the lens. (yes that actually happened! 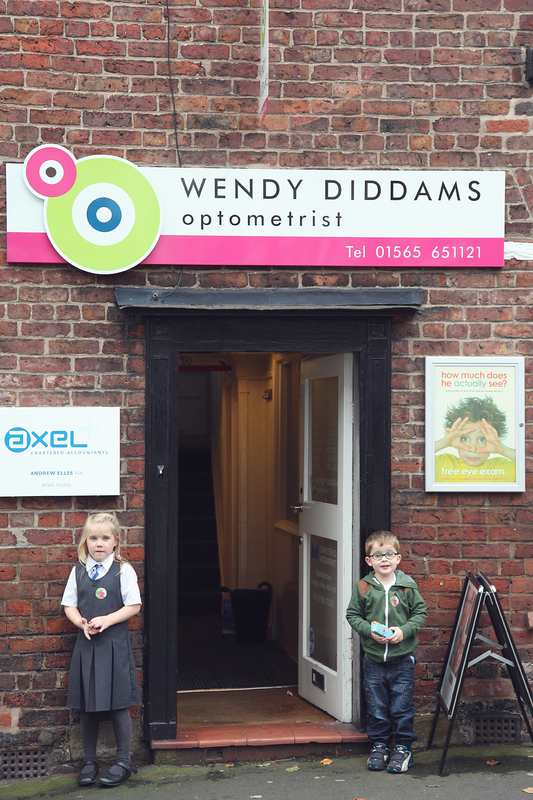 We are so fortunate that we have a wonderful optometrist in the town where I live, Wendy Diddams specialises in children, and all the staff are amazing. 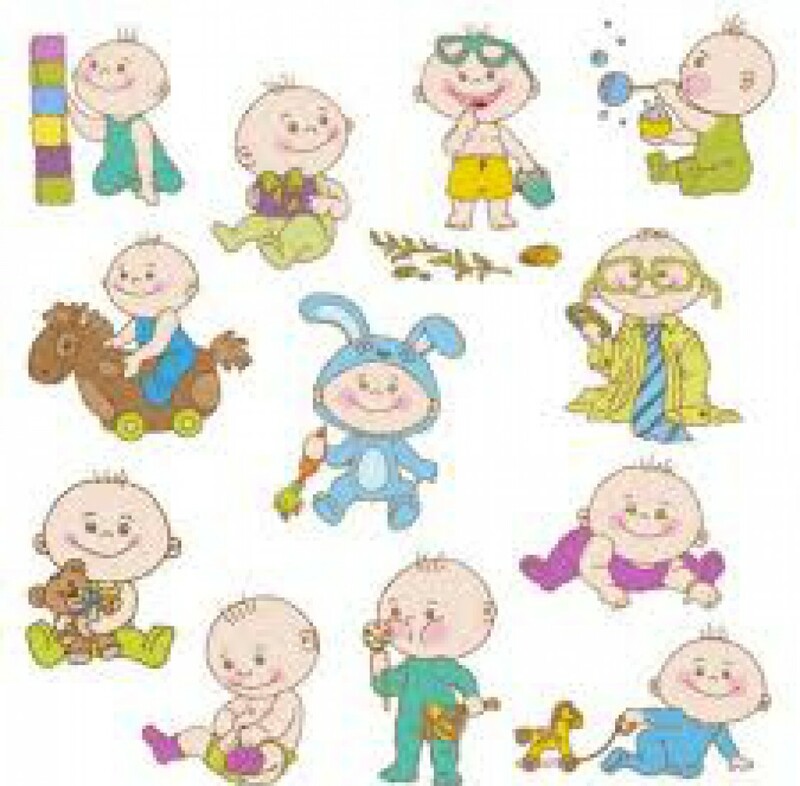 Several of my colleagues, travel to my town to have their children tested at Wendy Diddams, and it is a well regarded practice within the local community. They understand what makes my children tick. Sharon, in particular, has a wonderful relationship with my little man. Making her laugh when he tries on the glasses, he knows exactly what he likes, and doesn’t like, and tells her as he sees it. Nothing is too much trouble, and they are happy to source specific items for us. The prescription goggles we ordered through them are perfect and their knowledge of children’s glasses is vast. A welcoming and cosy waiting room (with sweets), means they are happy and well behaved (usually). We have been known just to pop in and say hello, although now I am back at work, this happens less frequently, as its often my Mum that pops in for the adjustments. All the staff know her well now too..; The journey into glasses with children, can feel overwhelming at times, things change and change can be tough! 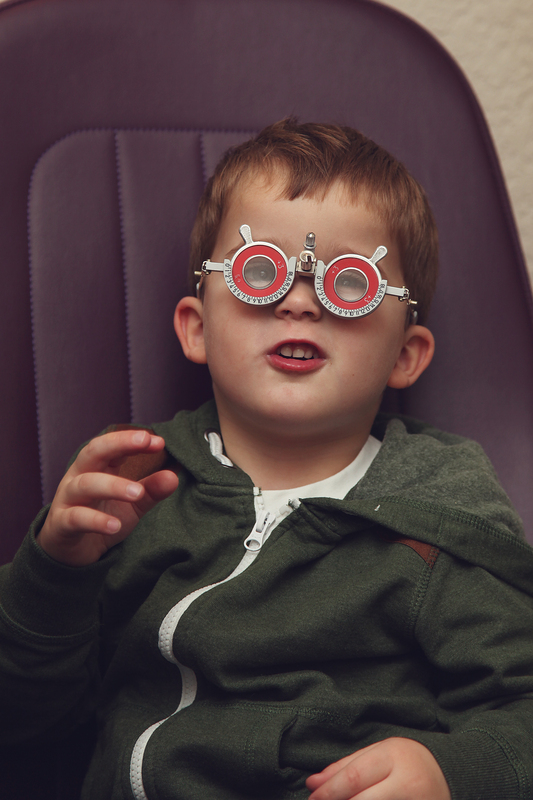 Having a child friendly and reliable optometrist, makes the whole journey less daunting. And lets face it, if you are going to be going there frequently, (and you will be), it is much better for all involved if the children feel they matter, rather than simply the next patient/customer. Thanks to Starwinkle Photography, for all all these amazing photographs. Lucy is wonderful with kiddiewinks. 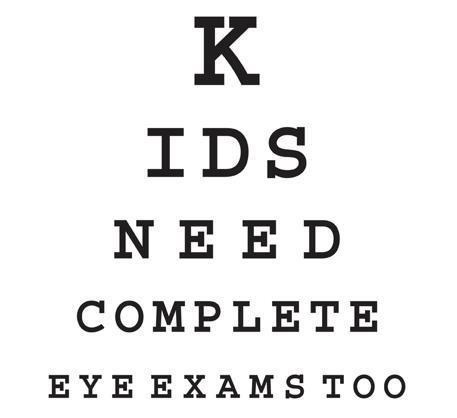 Over the last three years, kiddiewink 2 has seen a different optometrist and ophthalmologist each time. On Tuesday, little man had his three monthly check up and finally he saw the same person as last time. We have been moved to a Child Development centre linked to the hospital and it is so much better. Waiting area is brilliant for children, parking is vast and free. We always have a bag of snacks as the wait can be quite long. Yesterday at his check, as usual, Little man wouldn’t speak at first (well for all of 30seconds). He was bothered he was due to have the drops that help check his prescription, this is not an experience he relishes so was a little down in the dumps. Instantly She cheered him up, explaining the eye drops were just like ice, as he likes ice, they were put in with no fuss or tears whatsoever. It helped that for the first time ever, it was the lady he saw last time, so she was straight away brilliant with him. All is good, he managed to do a little better than last time and his prescription we changed ever so slightly for the better. I was just relieved that he didn’t need patching again, those are words I really don’t want to hear again! Littlest lady has her next check in a week, fingers crossed she co-operates as she is a feisty monkey at the minute. She is still pretty good at keeping them on, but she flings them off in the car and sometimes the pram, if she is tired. Although the I believe they come off a little more for the childminder and my mum! If you ask her for them, she takes them off and hands them you, equally, she asks for them in the morning and after naps. Other kiddiewinks of her age are pretty interested in them at the moment, trying to talk them off. Surprisingly, she gets quite protective over them. Her script went from +11 to +9.5, hoping her results are positive this time too. She is somewhat more wilful than the others, so I sense if she ever needs patching we are buggered!